To celebrate the anniversary of the Ramones' debut at legendary New York venue CBGB, NYC artists Solus and John “Crash” Matos have painted a huge mural of rock star and punk legend Joey Ramone across from now-closed venue's location. The project comes via the Little Italy Street Art project. Check out some photos of the mural in progress below. 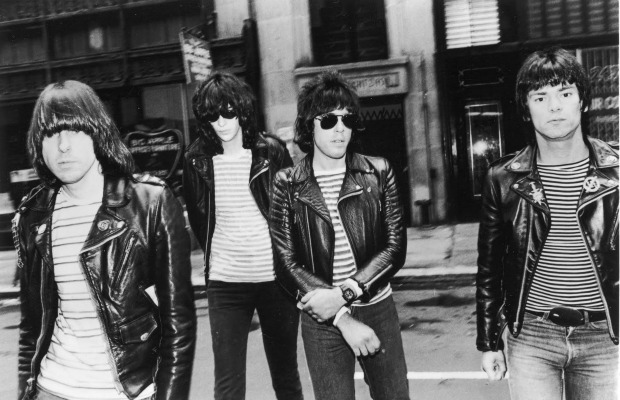 Punk rock historians should be well aware of the Ramones iconic first CBGB show in August of 1974. The historic show put CBGB on the map as one of New York's most important underground venues, and contributed to the astronomical rise of the Ramones' popularity. The 41st anniversary of the show passed on August 16.